Compatible with PAL console only, not for NTSC. Cable length: 1.8m. All pins connected. Nickel Connectors. This cable is for the Dreamcast only - it will not fit any other consoles. All pins connected. Length: 3m. Nickel Connectors. Colour Coded Red, Green & Blue Phono Plugs. 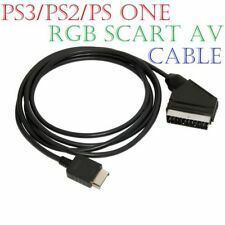 This RGB AV cable is exclusively for use with Nintendo SNES console. This is theRGB HDTV AV High Definition AV Cable for Nintendo SNES. For use with Nintendo SNES. Enables displays with natural and VIVID Colors. So it Maximizes picture and sound quality. There are NO EXCEPTIONS! Amazing product! Multi-region Dreamcast consoles. For Sega Genesis 2. For Sega Nomad. High quality cable with copper wire spiral shield to help prevent external interference. The audio and video wires are also screened from eachother inside the cable. Multi-region Dreamcast consoles. Proper RGB for optimal brightness level and picture quality. 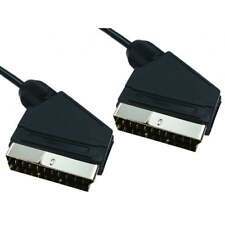 Suitable both for PAL and NTSC consoles, tried and tested! High quality cable with copper wire spiral shield to help prevent external interference. Enables displays with natural and VIVID Colors. SmartPhone Accessories. Tablet Accessories. Garmin Accessories. Fit For:Sega Saturn. Sheath Material:PVC plastic. -Using double shielded copper large line, with magnetic ring material enough, strong anti-interference. Core Material:copper. Main Purpose:video, audio transmission. The Luma line is used as sync. This is best Quality for SNES. It makes a big difference the colours realy pop n the picture looks sharper. Ive found its much more vibrant n less washed-out than the HD-Retro adapter. The Amstrad CPC 464 was designed to work only with its Amstrad green screen or colour monitor and gained power from the monitor in order to cut costs. Now includes the "active" cable which provides a better picture on modern TVs, eliminating ghosting and offset images. (The Luma line is used as sync. My cables with Sync on Luma are as good as you will get no need for Csync its totaly clean due to shielding n Build Quality. If Required( Cheap ones Dont!). ive Checked. ). 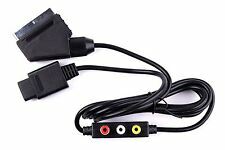 If your device doesn't have a S-Video (SVHS) connection you can still transfer the video via the more popular phono (RCA) connections on this device. Net weight: 35g.